The CTM Team has transacted over $240 million in sales. BA in Linguistics from Academy of Languages (KZ). 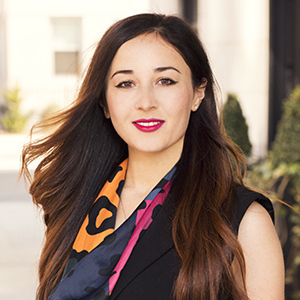 Gulnara joined Christine Toes Muldoon’s team in 2017 with 4 years of experience selling, renting and managing luxury homes in New York City at a boutique firm in Financial District. Real estate has allowed her to combine her love for New York with her desire to deliver exceptional service to her local and foreign clients, and help everyone to find the place in the world. Gulnara’s greatest strengths are her persistence, dedication to her clients and attention to detail. She leaves no stone unturned when it comes to selling or finding that perfect home or investment property for her client. She loves to be challenged and is passionate about each and every deal that she is a part of whether it is a $2,500 - $35,000 per month rental, $300K co-op or $20M luxury condo listing. Born in Kazakhstan, Gulnara graduated from the Academy of Languages with a Bachelor’s Degree in Linguistics. She is fluent in Russian, English, Kazakh and Uzbek. Her dream to continue her education in the US led her to New York in 2007 to study Business Administration. Since then Gulnara has lived in Kensington, Sheepshead Bay and Midwood and she knows Brooklyn inside and out. Gulnara is an active member of the Russian speaking community of South Brooklyn and a mother of two.